Responding to CDP in 2016? If so, you’ve probably seen that CDP has increased its emphasis on the value of climate action and how that translates into disclosure leadership. CDP respondents are now being asked to set science-based goals and utilize renewable energy to take an active role in reducing—rather than just reporting—emissions, and related environmental impact. We’re happy to report that one of the ways companies can advance these goals is with a money-saving, power purchase agreement (PPA). In previous blogs, we’ve demonstrated the value of PPAs in stabilizing electricity costs and for meeting corporate sustainability goals . PPAs make sense for enhancing a company’s reputation and hedging against volatile fossil fuel prices. PPAs can also be leveraged as a powerful tool to create positive environmental impact. In order to do so, companies must pay careful attention to the project type and the contract terms that define their green power transaction. Companies that wish to directly support the advancement of clean energy through PPAs must first understand additionality. Additionality in PPAs means that if it wasn’t for the buyer, the given renewable energy project would not get built. Wind farms and solar facilities are big – and expensive to build. The capital required to get a project off the ground is often too large for developers to front without the commitment of a creditworthy off-taker to help secure project financing. 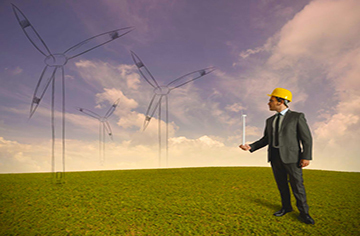 When a company signs a long-term PPA and agrees to offtake all or some portion of the energy a project produces, they can effectively claim that they are they are at least partially responsible for getting the wind farm or solar facility built. This claim can differentiate an organization from its competitors when it comes to climate action. PPAs are an outstanding mechanism to produce environmental impact such as displacement of greenhouse gas emissions, cleaner air from reduced pollution (and the improved human health outcomes that result), and water savings. PPAs give organizations a direct mechanism to develop and expand the renewable energy market and its associated emissions reductions. PPA buyers also have the opportunity to utilize the energy attribute certificates (EACs) produced from the project for their own green power claims. By retaining and retiring the EACs (such as renewable energy certificates) from a PPA project, buyers can make claim to the environmental attributes of the clean energy the project produces. This potentially allows buyers to make a claim of carbon free electricity, while also supporting the growth of a valuable market indicator in EACs. Beyond saving money and demonstrating your support for renewables, engaging in a PPA positions your company as a leader in climate action and highlights your role in mitigating the environmental impact associated with anthropogenic climate change. All green power purchases support the development of renewable energy, but PPAs allow companies to collaborate directly with project developers to add more clean energy to the grid. For more information on how PPAs can help advance your climate action goals or meet Scope 2 reporting and disclosure guidance, contact us. Want to learn more from our team of industry experts? Download our recent white paper on additionality or our guide to emission reduction claims today! This content first appeared on Renewable Choice Energy and is published here with permission.